Roast and ground coffee in aluminium capsules. 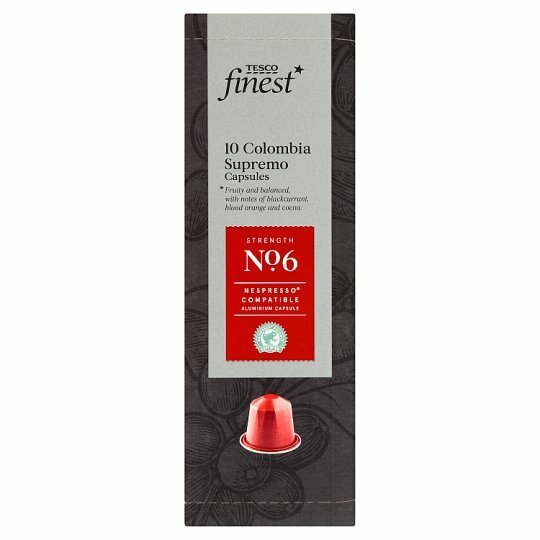 Nespresso® Compatible Aluminium Capsule Fruity and balanced with notes of blackcurrant, blood orange and cocoa. This 100% Colombian coffee is fruity and balanced. It's light roasted for its distinctive flavour with notes of blackcurrant, blood orange and subtle hints of cocoa. For preparation details refer to machine manufacturer's operating instructions.